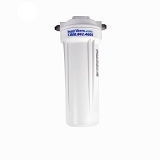 Home > Water Filters > BestFilters Water Filters > Under Sink Water Filter System - Single Stage with Chlorine, Fluoride, Chloramine, Lead, Arsenic Filter Choices. Designer Ceramic Disk Faucet included. Under Sink Single comes with Mounting Bracket, Screws and Filter Cartridge Installed. (Faucet may vary from picture). Solid Coconut Shell Carbon Block for Chlorine treated water supplies. Removes Chlorine taste and odor, Lead, Cysts, Particulates and much more. 2,500 gallon filter life. 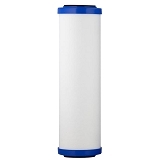 A great water filter value, with multiple filter cartridge choices for Chlorine, Chloramine and/or Fluoride treated city water supplies - provides excellent filtration for up to 2500 gallons or more at an affordable price. 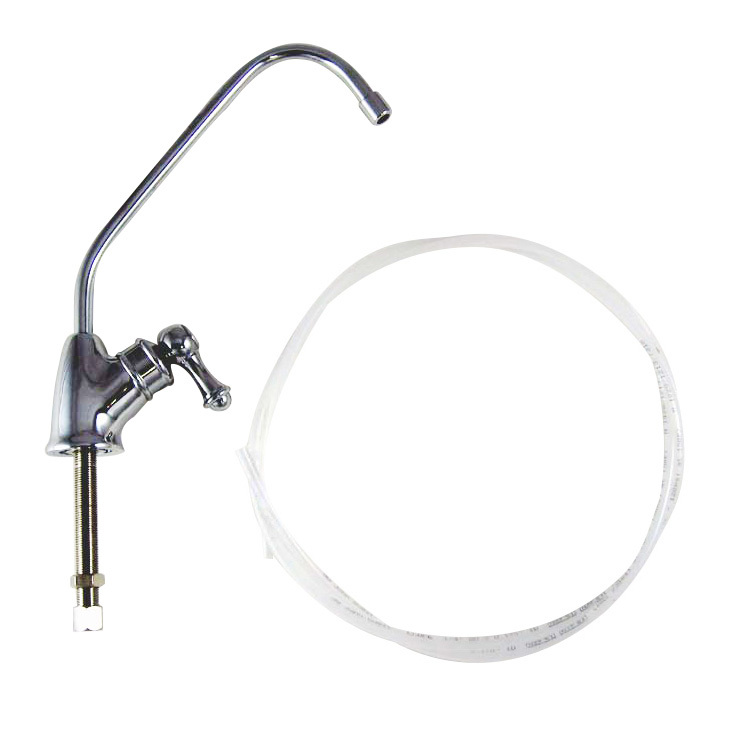 All components are manufactured with NSF certified materials for safe water filtration usage. Outstanding performance is achieved by using the standard replaceable 1.0 micron Matrikx Solid Carbon Block filter cartridge OR the optional Fluoride, Chlorine, Chloramine, Lead, MTBE and Arsenic reduction cartridges. The Standard Matrikx Coconut Shell Extruded Carbon Block Matrikx Pb-1 cartridge removes particulates as small as 1 micron and filters Chlorine taste and odor, Lead, VOC's, Cysts, Giardia, Pharmaceuticals, Pesticides, Chemicals, sediment, rust, and particulate matter for sweet, clear, great-tasting water. Long-lasting, 2,500 gallons of pure, filtered water. 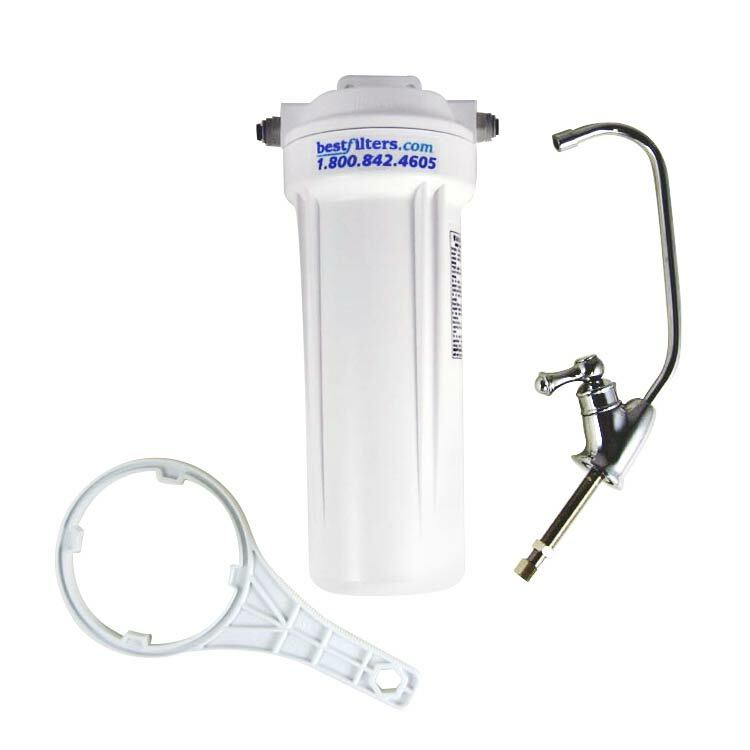 The Option A Carbon Block adds Fluoride, Chloramine, and Arsenic reduction, the AquaMetix cartridge is for municipal water with added Fluoride or treated with Chloramine or Chlorine. 1,000 to 3,500 gallon use depending on contaminant. Depending upon cartridge choice, provides 600 to 2,500 Gallons of great- tasting, crystal clear water. That`s about 3-5 cents/gallon without lugging bottles around! 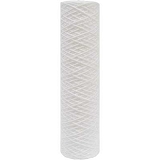 We recommend annual or semi-annual replacement of the water filter cartridge. Heavy Metal Reduction: Reduces soluble Lead and other heavy metals, using an ion-exchange filter medium with high specificity for soluble lead. Advanced particulate filtration is used to intercept insoluble lead-containing particles. Particulate, Cyst and Turbidity Reduction: Meets NSF Standard 53 for reduction of Cryptosporidium, Giardia, Entamoeba and Toxoplasma. 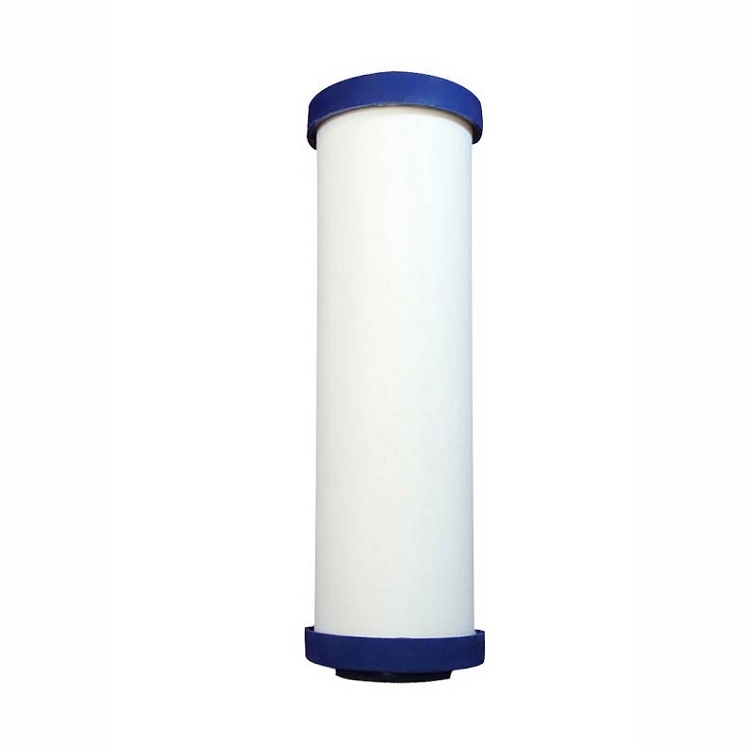 Filters provide > 99.98% reduction of 3-4 micron particulates, > 99.96% reduction of 1-2 µ particulates, and are high performance sediment filters with extended life. Extruded activated carbon filters provide several times greater life than traditional molded carbon or granular carbon filters. Option A: Carbon Block Cartridge (AquaMetix) for municipal water supplies treated with Chlorine or Chloramine and added Fluoride, . We recommend replacement at 1,500 gallons or every 9 months. Free Stainless Steel Water Bottle with your water filter system purchase! Installation Instructions included. Measures: 4-1/2"D x 11-1/2"high. 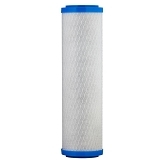 Instructions for Use and Installation of the CeraMetix filter cartridge. This filter is amazing! It completely removes any chlorine or metallic taste from the water. Their customer service is also exceptional. They helped me find an under-sink adapter to use in place of the stainless steel faucet since I live in a rental and cannot cut a hole in my sink counter-top. 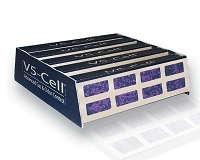 I have nothing but good things to say about this product and company! The filter and faucet are great, top notch quality. I received my filter with out the mounting bracket, notified customer service via email which they quickly responded to and sent the bracket in the mail. I'm very satisfied so far. I absolutely love my Best Filter it was easy to install and it is the best tasting water I have ever had!! The customer service is great also!! 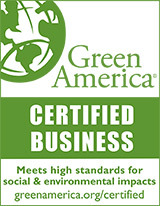 Thank you again for a great water filter made in the USA!!! One of our best decisions. We are very happy with our new filter. From the friendly & helpful customer service, to shipping time, to the actual product & install, everything was first-rate. The only little snag we experienced was having to purchase a different size fitting for the water line connection under the sink; only a minor inconvenience. We love the way the water tastes, and the look of the little tap, and of course we are relieved to know we are getting much safer water. Thank you! This is our second filter from BestFilters. Our first was the counter filter just like this one, but when we changed kitchen faucets, we had to move our filter to under the counter. We had a problem with installing, and BestFilters helped us through it. Our product arrived very quickly, too. I bought one of these last year and I liked it so much, I got one for may parents. 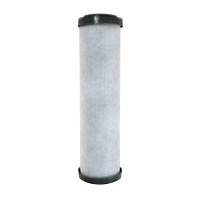 It's easy to install and easy to replace the filter. An easy install in the galley aboard the boat. Excellent quality faucet & filter unit with everything necessary to complete the installation. The faucet measured 8 inches high extending 7 inches into the sink. A good fit for limited space applications. The faucet swings 360 deg.